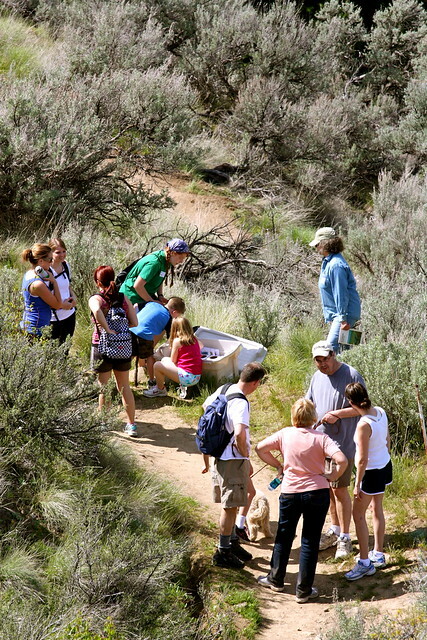 Volunteers are critical to the success of Chelan-Douglas Land Trust. Volunteering is a great way to make a difference, and have fun doing it! We rely on the support of volunteers to assist in a variety of ways, including stewardship work parties on protected properties, trail building and maintenance, office work, help with special events or outreach, or an hour or two stuffing envelopes or entering data. If you would like to be added to our volunteer list, contact Hillary Clark at (509) 667-9708 or hillary@cdlandtrust.org. All volunteers need a signed liability waiver: once a year for adults & at every event for those under 18. CLICK HERE to open the waiver. The Land Trust recruits volunteers to assist trip leaders during hikes and outings, providing logistical support and introducing the work of the Land Trust to new faces. If you are interested in participating in this program, please contact Susan Ballinger at susan@cdlandtrust.org or 509-667-9708.